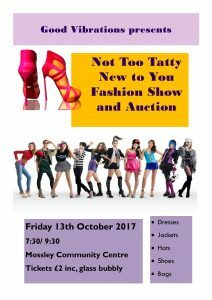 We will have some gorgeous models, wonderful pre-loved clothing, shoes, bags and jewellery for sale – all we need now are people to come and enjoy the show! Please spread the word , bring a friend, and have a great night out. £2 admission with a glass of bubbly. 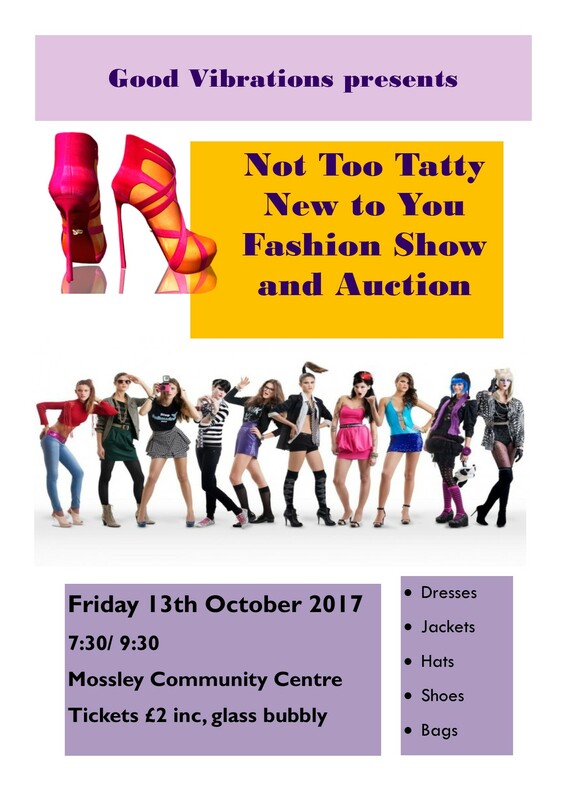 All proceeds will go to support Mossley Community Centre.